My nephew's favourite dish as I cook it. It cost a lot of time to make this dish, but it absolutely worths it! Spread a heat-proof dish with some butter or margarine. 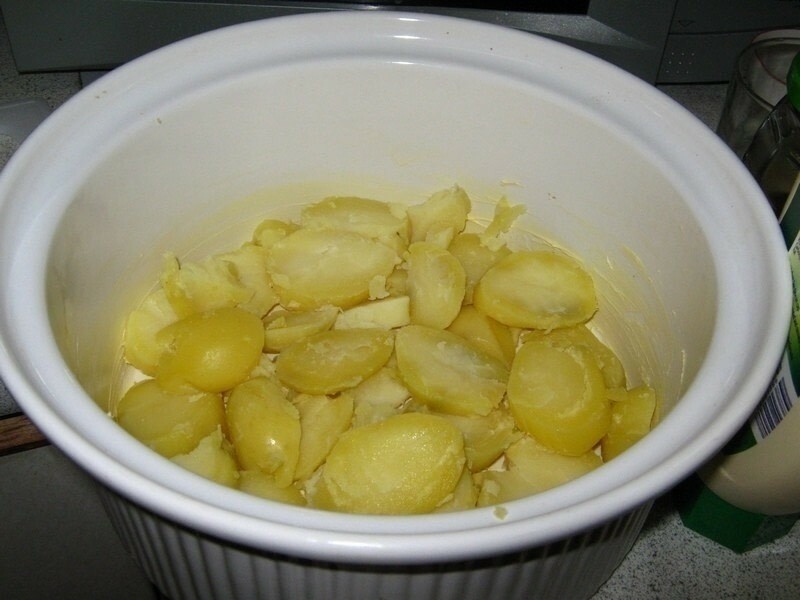 Slice the potatos and put a layer of them into the dish. Salt it. 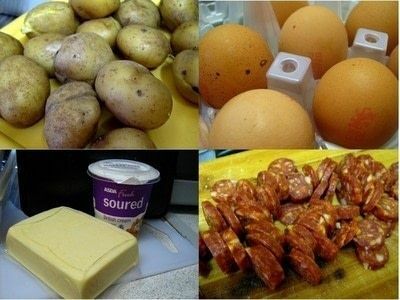 Put the egg and sausage slices on the top of the potato layer. Then put a little bit soured cream and a little grated cheese. Then comes another layer of potatos, then eggs and sausages again, soured cream and cheese. 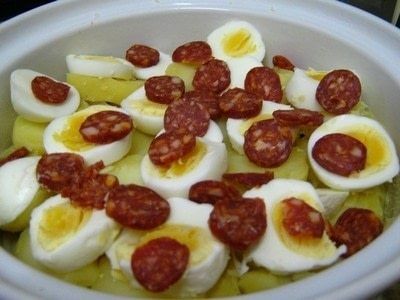 Finish the process with a layer of potato. Put a little salt on every potato layer. 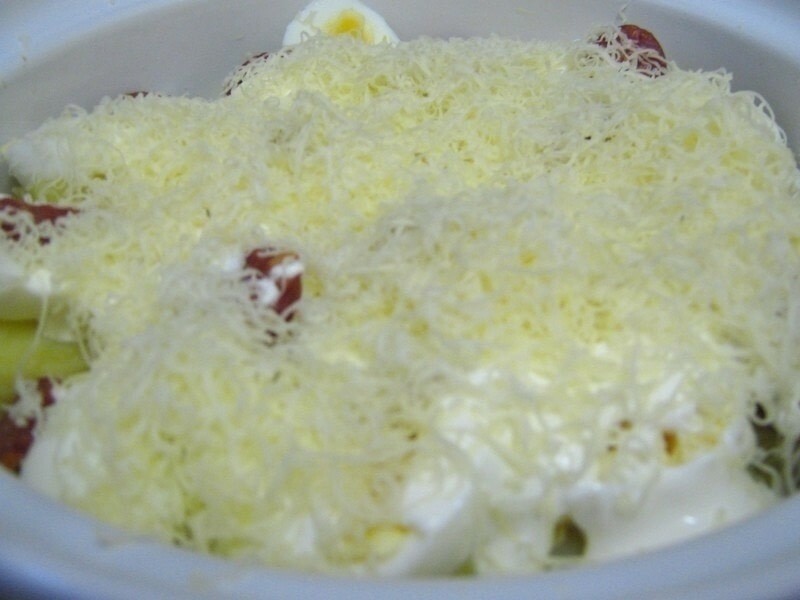 Cover the potatos with soured cream and grated cheese. Put the dish into your oven, 200 Celsius grades, about 25-30 minutes, until the cheese becomes golden brown. 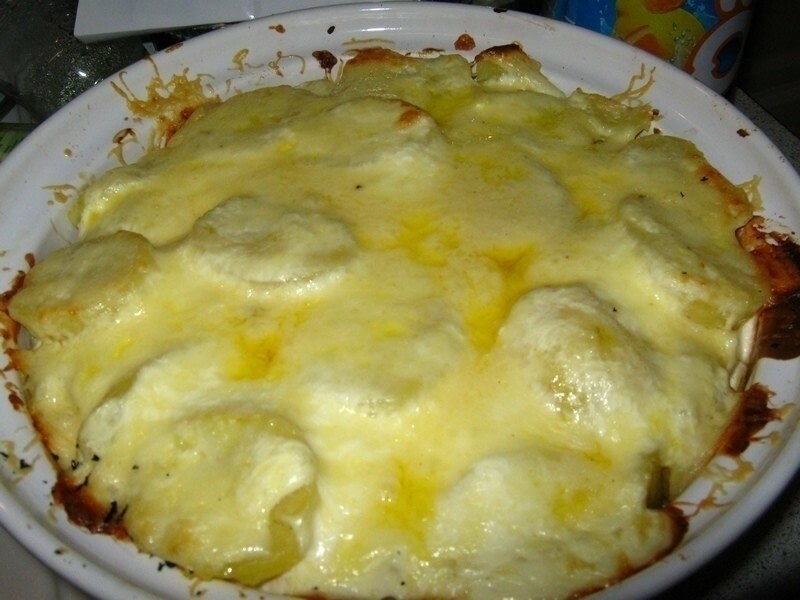 If you are a vegetarian (like my sister), you could make this without sausage. This dish contains no spices, the flavour comes from the sausage. So if you make it without sausage, you need to put in some spices. I recommend garlic, red (but not hot) pepper, grounded white pepper, and/or tarragon. I use gouda but you can use anything you like. I'd kinda kill this, since I'm veg *and* not overly fond of eggs (I'll eat the occasional omelet or like I don't mind the scrambled bits in fried rice, etc, but fried/boiled eggs, I don't care for), but the other half of the recipe sounds good! lol. What kind of cheese is it that you use? I finally made this! It is really good & filling. Just reading this has given me a new fondness for Hungarians!! I can't wait to try this!!! Thanks for the posting!! !